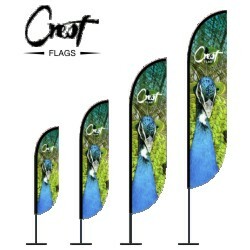 Our Flag Banners are a great way to promote you business. Whether its outside your Shop or at a Show. Printed onto 117gsm Knitted Polyester with dye-sublimation process resulting in 80-90% show-through on the reverse. 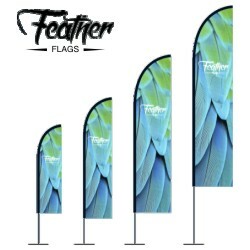 Base options for the Feather, Crest, Fin and Teardrop flags Depending on where your flag will be located, different bases may be required. 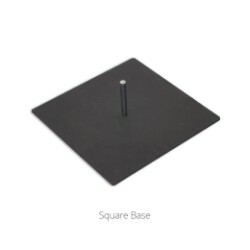 Please be aware that some bases are not suitable for our large and extra large models. Cross Brace & Weight Bag. 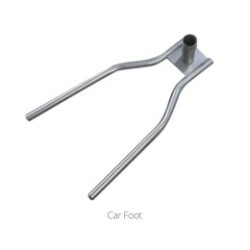 Great for providing stability on harder surfaces where the ground spike will not penetrate. The weight bag sits over the metal cross brace providing the weighted stability needed to keep the flag upright. 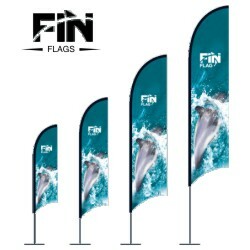 Suitable for our small and medium size flags only. 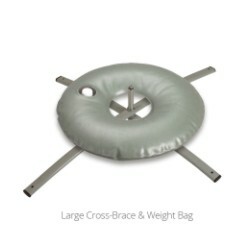 Large Cross Brace & Weight Bag. Suitable for all of our flags at all sizes. 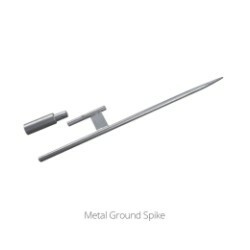 Metal Ground Spike. Suitable for all of our flags at all sizes. 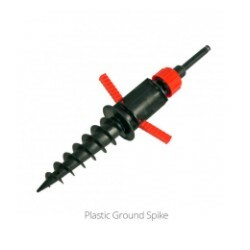 Plastic Ground Spike. 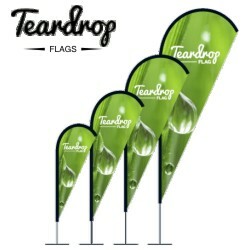 Suitable for our small and medium size flags only. 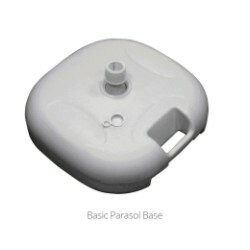 Basic Parasol Base. Suitable for our small and medium size flags only. 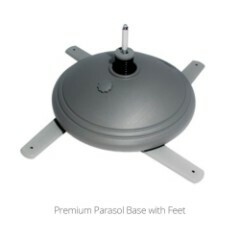 Premium Parasol Base with Feet. Square Base. A square metal base suitable for all flag sizes. Not suitable for outdoor use.